Mackie SRM-1850 1600W 18" Powered SubwooferMackie SRM 1600W High-Definition Powered Loudspeakers deliver on Mackie's "Built-Like-A-Tank" SRM legacy in professional grade all-wood designs featuring enhanced Mackie digital processing providing new levels of SRM ruggedness, output, clarity and simplici..
Yamaha MG20XU - Analog Mixer20-Channel Mixing Console: Max. 16 Mic / 20 Line Inputs (12 mono + 4 stereo) / 4 GROUP Buses + 1 Stereo Bus / 4 AUX (incl. FX)Tinauan :20-Channel Mixing ConsoleMax. 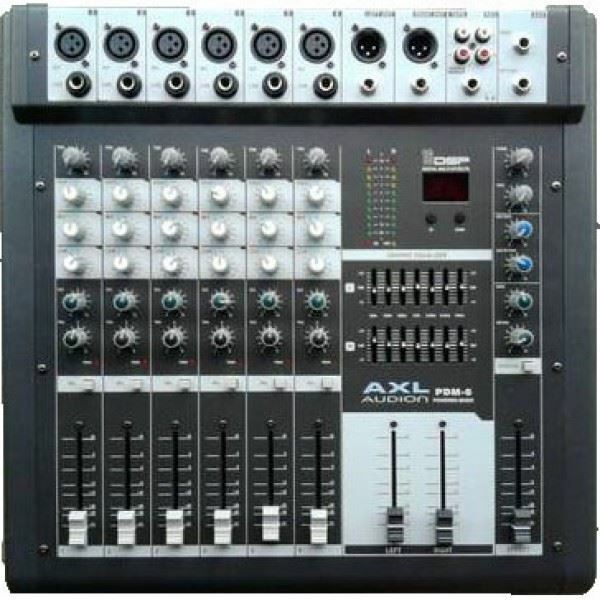 16 Mic / 20 Line Inputs (12 mono + 4 stereo)4 GROUP Buses + 1 Stereo Bus4 AUX (incl. FX)“D-PRE” mic preamps..